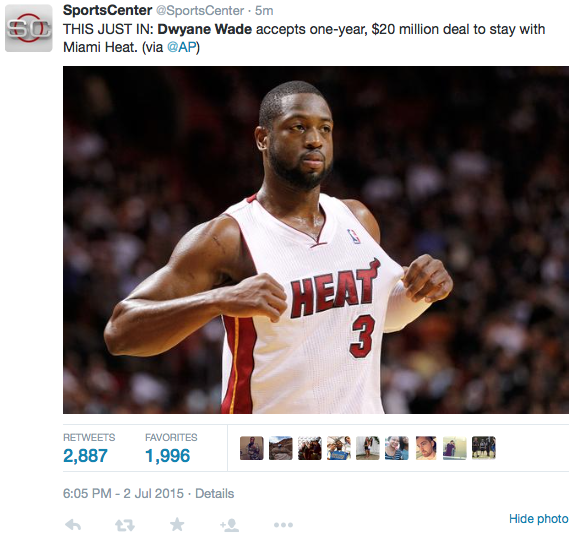 MIAMI -- A person familiar with the negotiations says Dwyane Wade is staying with the Miami Heat. The person says Wade informed the Heat on Thursday that he will accept a one-year offer to re-sign for $20 million for next season. The person spoke to The Associated Press on condition of anonymity because no NBA deals can be finalized until July 9. This ends a weeks-long, sometimes-contentious saga between the Heat and their franchise player. 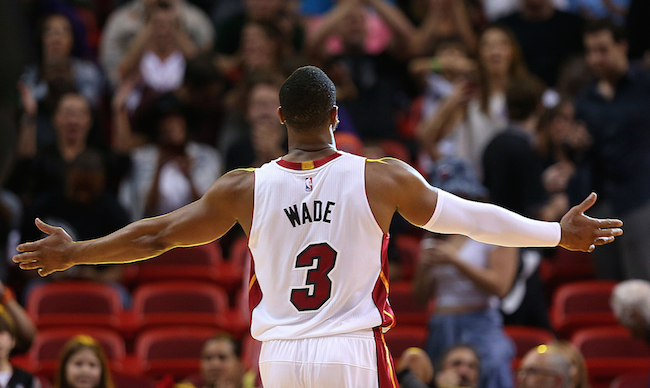 Wade was open to the idea of leaving Miami over a contract dispute, moreso than ever before. But in the end, the three-time champion and the only team for whom he's played worked out a deal that could mean he will finish his career in Miami. An 11-time All-Star, Wade averaged 21.5 points per game last season.